Cycling Food Plan | What To Eat Before,During & After Cycling? » Cycling Food Plan | What To Eat Before,During & After Cycling? ​Hey there, I'm Daniel, founder and editor in chief here at Rydoze. I just want to share my experiences (backed up with relevant data) and help you along on your cycling journey. 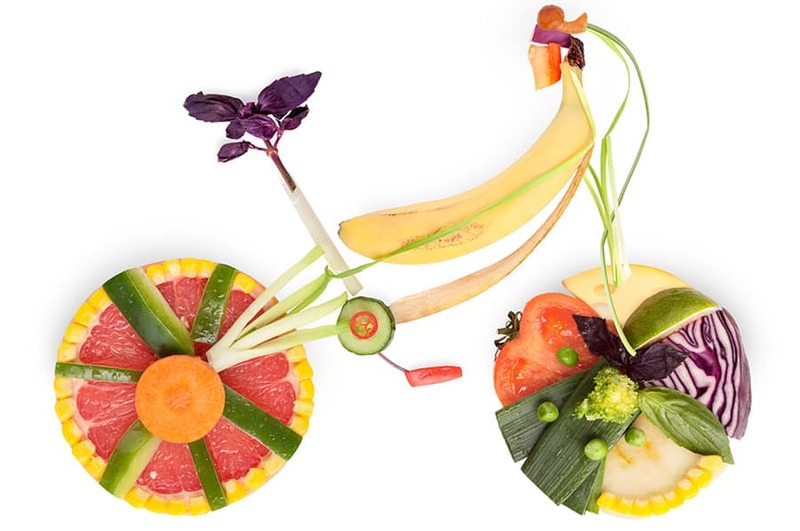 ​Cycling is a seriously fun sport that can call for some serious fueling. While proper nourishment is essential for any successful athlete, cyclists especially require high amounts of energy to power their bodies through long rides. Fueling and refueling with the correct nutrition will help you bike harder, faster, stronger, and further!! It is of the utmost importance to consume enough energy to fuel and replenish your rides--but, you shouldn’t just reach for anything. Eating the wrong foods or even too much of the right foods can actually be worse for you than eating nothing at all. Cycling is a seriously fun sport that can call for some serious fueling. While proper nourishment is essential for any successful athlete, cyclists especially require high amounts of energy to power their bodies through long rides. Fueling and refueling with the correct nutrition will help you bike harder, faster, stronger, and further!! It is of the utmost importance to consume enough energy to fuel and replenish your rides--but, you shouldn’t just reach for anything. Eating the wrong foods or even too much of the right foods can actually be worse for you than eating nothing at all. So, what should you have? ​How much fuel will you need? How much fuel will you need? 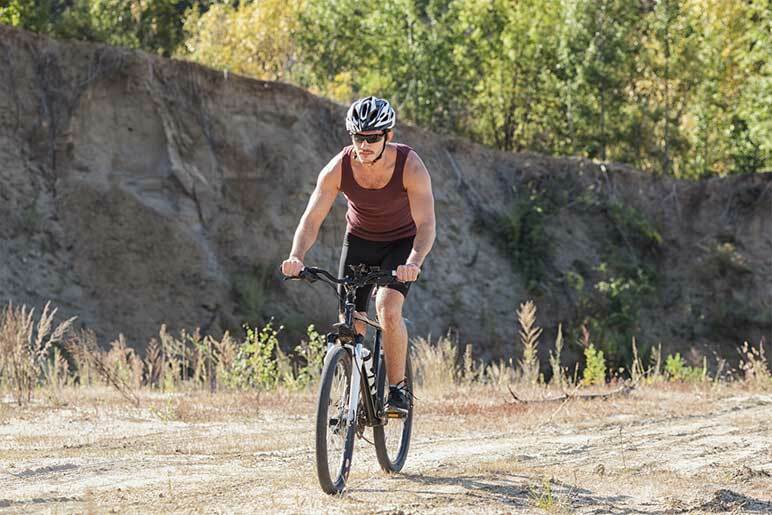 ​How much fuel your body needs will differ depending on a few factors such as the length or difficulty of the ride. As a general rule, the American College of Sports Medicine recommends 30-60 grams of protein per hour of exercise. The needs and limitations of our bodies can fluctuate on a day-to-day basis. on other days, it’s apparent that they require more rest. It’s always important to check in with the needs of your body before a ride. Ultimately, everyone’s bodies work differently and some fuel sources will work better for some people than others. Some athletes prefer to train on a more of an empty stomach, while some prefer to have a little more fuel in the gut. Experimenting with your fueling routine can help you discover what works best for you. But, make sure to keep your routine consistent before/on a long ride or race day! While experimenting with your exercise and diet routines, you may find it helpful to keep a log of what you ate before/after a ride and how it made you feel. How much fuel your body needs will differ depending on a few factors such as the length or difficulty of the ride. As a general rule, the American College of Sports Medicine recommends 30-60 grams of protein per hour of exercise. The needs and limitations of our bodies can fluctuate on a day-to-day basis. Some days, our bodies have seemingly boundless energy whereas, on other days, it’s apparent that they require more rest. It’s always important to check in with the needs of your body before a ride. Experimenting with your fueling routine can help you discover what works best for you. But, make sure to keep your routine consistent before/on a long ride or race day! While experimenting with your exercise and diet routines, you may find it helpful to keep a log of what you ate before/after a ride and how it made you feel. Anything under an hour--your main concern is going to be fluid replenishment. Most folks will have ample energy stored from the meal they ate prior to this ride so there’s no need to worry about consuming extra energy during it. Just make sure to drink plenty of fluids and to eat something before and after your ride. 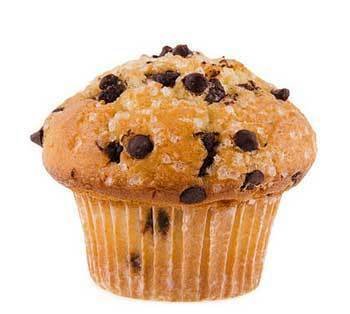 ​Rides that last for 1-3 hours--your primary concern will be carbohydrate replenishment. At the very least--you’ll want to consume a bottle or two of a low-carb, electrolyte drink. Eating a lightweight snack (more on this in a minute) can help you maintain your 30-60 grams of carbs per hour range. Three hours plus--your primary concerns are going to be carbohydrate and electrolyte replenishment. With cycling, it’s best to avoid heavy foods high in fat that can weigh your stomach down. 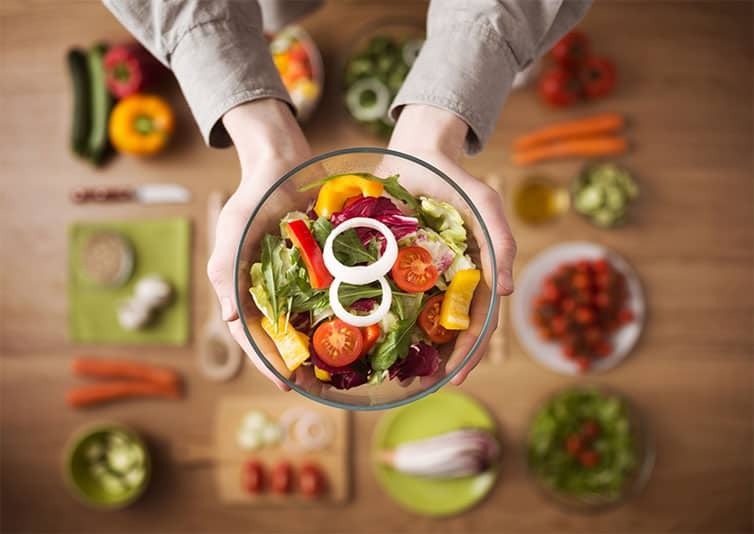 But, if you’re having difficulty eating it is important to simply eat foods that you think taste good to ensure your energy levels are being replenished. When you’re on a shorter ride--anything under an hour--your main concern is going to be fluid replenishment. 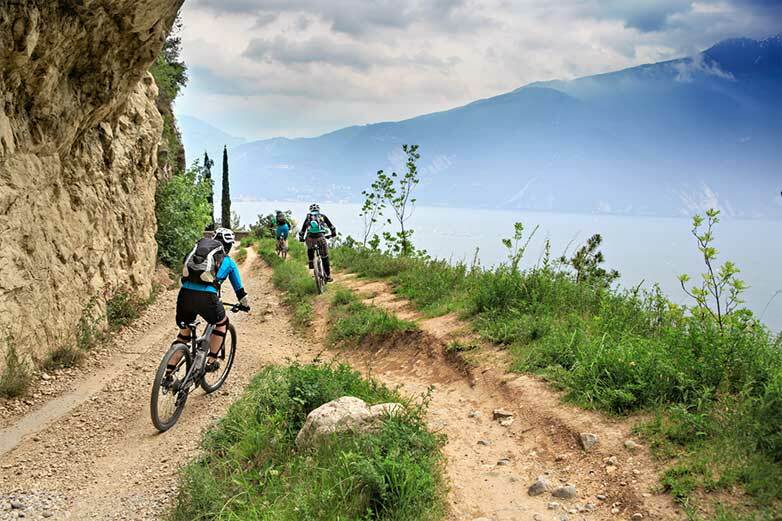 Most folks will have ample energy stored from the meal they ate prior to this ride so there’s no need to worry about consuming extra energy during it. Just make sure to drink plenty of fluids and to eat something before and after your ride. On medium length rides--rides that last for 1-3 hours--your primary concern will be carbohydrate replenishment. For rides of this length-- at the very least--you’ll want to consume a bottle or two of a low-carb, electrolyte drink. Eating a lightweight snack (more on this in a minute) can help you maintain your 30-60 grams of carbs per hour range. When you’re out for a long ride--three hours plus--your primary concerns are going to be carbohydrate and electrolyte replenishment. With cycling, it’s best to avoid heavy foods high in fat that can weigh your stomach down. But, if you’re having difficulty eating it is important to simply eat foods that you think taste good to ensure your energy levels are being replenished. ​Getting enough sleep is essential to any training plan--physical or mental. It is especially crucial before a long ride or race. Eating too late at night can disrupt your digestion and the quality of your sleep so make sure to have dinner at an appropriate time. Avoid red meat which can be hard to digest. Try to stick to lighter proteins such as fish or chicken. If you’re feeling restless and looking for something to help you sleep before a ride, you may want to opt for a single nightcap. ​But, if you’re going to have a drink--stick to one. Too many servings of alcohol can quickly become counterproductive. When it comes to hydration, it’s best to start focusing on drinking enough fluids 24 hours before your ride. Hydrating over time like this, rather than trying to drink an excess of fluids the day of, will help to hydrate your body fully and prevent unnecessary bathroom stops during your ride. It is smart to eat a carb-rich diet of something such as potatoes, rice, or pasta the night before. But, the concept of ‘carb-loading’ is outdated. Our body can only store so much energy at one time so there is no need to go overboard on carbs--just eat a full, well-balanced meal. Getting enough sleep is essential to any training plan--physical or mental. It is especially crucial before a long ride or race. Eating too late at night can disrupt your digestion and the quality of your sleep so make sure to have dinner at an appropriate time. Also, for ease of digestion, it is recommended to watch your fiber intake and to stay away from extremely spicy foods. Avoid red meat which can be hard to digest. Try to stick to lighter proteins such as fish or chicken. If you’re feeling restless and looking for something to help you sleep before a ride, you may want to opt for a single nightcap. But, if you’re going to have a drink--stick to one. Too many servings of alcohol can quickly become counterproductive. When it comes to hydration, it’s best to start focusing on drinking enough fluids 24 hours before your ride. Hydrating over time like this, rather than trying to drink an excess of fluids the day of, will help to hydrate your body fully and prevent unnecessary bathroom stops during your ride. It is smart to eat a carb-rich diet of something such as potatoes, rice, or pasta the night before. But, the concept of ‘carb-loading’ is outdated. Our body can only store so much energy at one time so there is no need to go overboard on carbs--just eat a full, well-balanced meal. ​It’s best to consume a carbohydrate focused meal that’s low on the glycemic index (GI) before you ride. Carbs that are low on the GI will release slow, steady energy throughout your ride. For more information about the glycemic index and to locate a list of low Gl foods, click here. ​In Cycling Weekly’s YouTube video: Five foods you should NEVER eat before a ride, two experts explain how foods high on the GI burn quickly in your body--similar to the way a piece of paper would burn in a fire. ​Whereas, foods low on the GI will fuel your body in a way similar to how a log would burn in a fire--causing a slow, steady release of energy. Consuming protein causes amino acid creation which slows down the digestion of carbohydrates causing you receive less energy. As you exercise, blood moves away from your stomach to your muscles. If the energy rich carbs you consumed are stuck sitting in your stomach, they won't do your muscles much good. It’s best to make sure you are consuming carbs your body can actually digest and utilize during your ride. It’s best to consume a carbohydrate focused meal that’s low on the glycemic index (GI) before you ride. Carbs that are low on the GI will release slow, steady energy throughout your ride. For more information about the glycemic index and to locate a list of low GL foods, click here. In Cycling Weekly’s YouTube video: Five foods you should NEVER eat before a ride, two experts explain how foods high on the GI burn quickly in your body--similar to the way a piece of paper would burn in a fire. Whereas, foods low on the GI will fuel your body in a way similar to how a log would burn in a fire--causing a slow, steady release of energy. Consuming protein causes amino acid creation which slows down the digestion of carbohydrates causing you receive less energy. As you exercise, blood moves away from your stomach to your muscles. If the energy rich carbs you consumed are stuck sitting in your stomach, they won't do your muscles much good. ​Pasta is a wonderful meal choice before a ride but watch out for heavy, creamy sauces and meaty toppings! When you consume foods high in fat your body slows down the rate at which your stomach empties which makes it harder for the carbs to get to your muscles. A bit of coffee can get you going before a ride. Eating something natural and healthy like a salad might seem like a good idea before a ride but it won't give you nearly enough carbs and all that fiber is hard to digest. An easier to process option would be something like a banana smoothie. Oatmeal is an all-time favorite pre cycling meal. Oats are nutrient dense while being low on the GI. Oatmeal can be dressed up with a number of delicious and nutritious toppings. This is the perfect pre-ride food for long rides, or when you have time in the morning to fuel up a few hours before your ride. 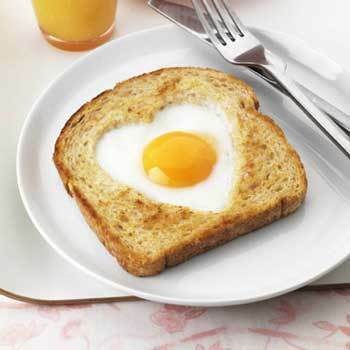 The reason is that the toast, especially whole wheat toast, provides carbs that start breaking down immediately but will last several hours, while the eggs provide protein that breaks down slowly and will help prevent muscle damage during your ride. Bananas are best when eaten less than a half hour before your ride. 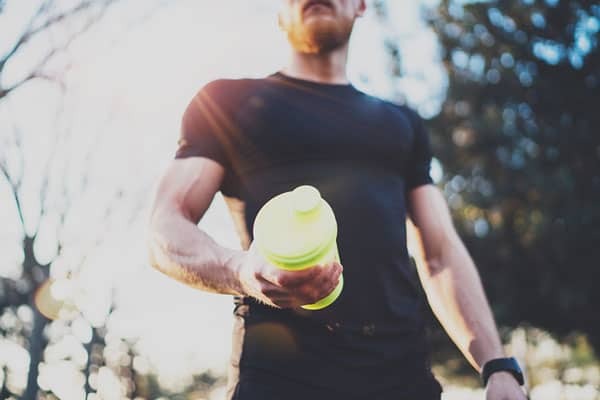 They have a high glycemic index, meaning that they break down into simple sugars that your muscles can use relatively quickly similar to a sports drink. But the added benefit to eating a banana is that the sugar comes bundled with potassium and vitamin C, which can help prevent cramping. However, a banana alone will often not provide enough energy to last a whole ride. Muffins are another great option for fueling up right before a ride because they have a mix of carbohydrates and fats that provide a mix of immediate energy and all-day fuel. The carbohydrates in most muffins consist of both sugar, which is broken down quickly by the body to get your ride going, and more complex starches that break down more slowly but much faster than fats. The butter that goes into muffins provides fats that are perfect for an all-day ride since they take hours to break down in your stomach. A fruit smoothie, consumed 1-2 hours before your ride, is the pre-ride food of choice when you have a high intensity workout or race planned. Smoothies typically have a high glycemic index, so they provide a fast-burning and primarily carbohydrate-based fuel for your system. This is helpful because it gives the system the energy it needs to perform without forcing your body to divert energy towards digestion once you begin riding – which can cause stomach cramps when you begin breathing hard. Add a few grams of protein for longer-lasting energy and to help with muscle repair during the ride. A pre-ride staple, oatmeal is great for both medium and long rides because it is highly customizable and provides a ton of carbohydrates. The secret ingredient to oats is the fiber that they contain – this prevents your body from burning through the store of carbohydrates quickly, instead metering out your digestion over 2-3 hours. If you find yourself rushing to get onto the bike after eating, add some honey or fruit to your oatmeal to give your body a source of sugars that will digest quickly to get you going. Peanut butter is calorie-dense, largely thanks to its high fat content. 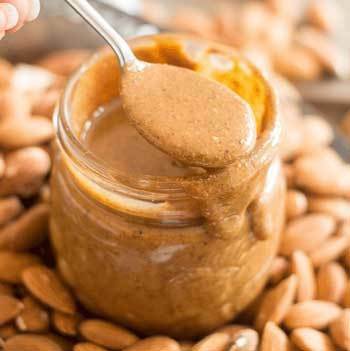 This makes it a food of choice before long rides, since the fat in peanut butter won’t break down in time to provide energy during rides of a few hours or less but provides a steady supply of energy once it does begin to digest in your stomach. Because peanut butter is low in carbohydrates, and particularly in simple sugars, it is often a good idea to consume it with bread or another source of faster digesting carbohydrates. 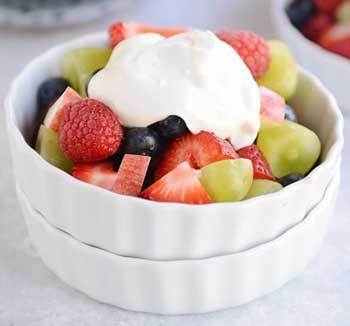 The combination of fruit and yogurt is another great quick meal option to achieve a balance of easily digestible carbohydrates and protein that will set you up for success. The fruit has a high glycemic index and will provided a quick kick of energy to start your ride, while the yogurt contains more complex carbohydrates and protein that break down over time. Yogurt is a particularly good choice for workouts of 1-2 hours because the protein will not break down until after the ride – when it will act to help with muscle recovery. What about anything during your ride? Pasta is a wonderful meal choice before a ride but watch out for heavy, creamy sauces and meaty toppings! When you consume foods high in fat your body slows down the rate at which your stomach empties which makes it harder for the carbs to get to your muscles. Eating something natural and healthy like a salad might seem like a good idea before a ride but it won't give you nearly enough carbs and all that fiber is hard to digest. An easier to process option would be something like a banana smoothie. Oatmeal is an all-time favorite pre cycling meal. Oats are nutrient dense while being low on the GI. 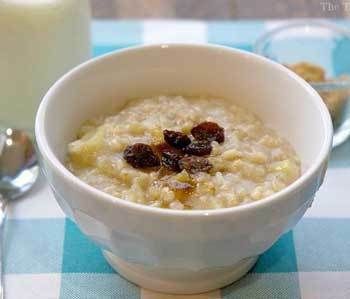 Oatmeal can be dressed up with a number of delicious and nutritious toppings. ​If you’ve eaten before your ride and you plan to ride for an hour or less you should be fine to cycle away without mid refueling! If you plan to ride for more than an hour it’s a good idea to consider bringing something to refuel and rehydrate with. If you are aiming for that 30-60 grams of carbs rate we recommend bringing a lightweight snack for refueling on the go such as a banana, low-fiber carb-based energy bars, or energy gels. Only glucose used to be all the rage when it came to sports nutrition products. But, updated research shows that a mixture of glucose and fructose results in better carbohydrate absorption and...thus, better energy production. ​“These are the products that elite cyclists (and triathletes) will often use during competition”, she explained. Bycling.com states that, during rides, one of the most simple ways to optimize your carbohydrate intake is to eat lightweight, digestible snacks--like bananas or fig bars--while drinking a low-carb, electrolyte hydrating drink. It can help ensure you’re staying in the correct grams of carbohydrates per hour range while also receiving an appropriate amount of sodium and fluids. Make sure to consume plenty of water during your ride, but not too fast! Sip slow and regularly. The staple of most cyclists on rides of every length, electrolyte drinks serve multiple purposes. Sports drinks without added sugar are perfect for short rides, especially on hot days, to give your body the electrolytes it needs to replace sweat. During medium and longer rides, consume sports drinks that have glucose, sucrose, fructose, or maltodextrin added. These simple sugars provide immediate energy and can supply all your calories during the ride or can supplement other food intake to provide the calories you need while keeping digestion simple. 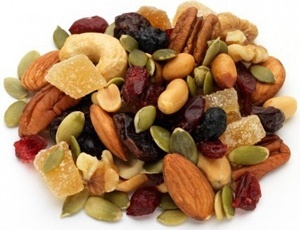 For longer rides, especially when intensity is low to moderate, trail mix can be a yummy choice of snack that you’ll want to eat – an important but often overlooked consideration in choosing food for the ride. Pack your trail mix with raisins and dried fruit that has a high glycemic index and begins providing energy as soon as you eat it. The nuts – and chocolate – provide a source of protein and fat that digests more slowly to provide lasting energy throughout the day. 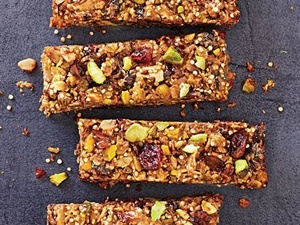 Energy bars are rich in carbohydrates and importantly provide a mix of carbohydrate types to keep your body fueled over both the short and medium terms. 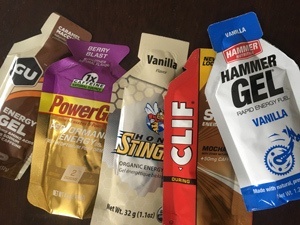 Importantly, note that energy bars are different than protein bars – energy bars typically have only a few grams of protein, while protein bars are more suitable for recovery after the ride. Choose your energy bar based on the number of grams of carbohydrates it contains – 40g or more is perfect for long or high-intensity rides, while bars with 15-20g of carbohydrates are more suitable for medium-length rides. Like energy bars, energy gels are designed to provide your body with carbohydrates to fuel medium, long, and high-intensity rides. The primary difference between energy gels and bars is in the types of carbohydrates they contain. Whereas energy bars typically contain a mix of carbohydrate sources, energy gels generally provide only simple sugars such as fructose and maltodextrin that are rapidly digested and converted into energy. Many energy gels also provide electrolytes to replace loss from sweat as well as caffeine, which can improve performance during long races. Remember to wash energy gels down with water, not with carbohydrate-containing electrolyte drinks. Bananas serve a similar purpose during the ride as they do immediately before it – they provide a delicious source of easily digestible carbohydrates that can be quickly converted into energy by the body. One of the advantages to carrying bananas during a ride is that unlike most other fruits, they come with their own wrapper! 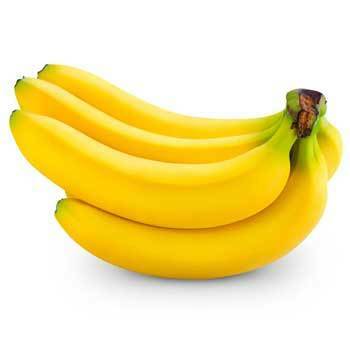 Bananas are also a great source of potassium, which can help reduce the likelihood of cramping during a long or high-intensity ride, especially on a hot day when you are sweating hard. It may sound unorthodox, but once you see another cyclist pull out a peanut butter and jelly sandwich halfway through a long ride you’ll never go out on a long ride without one again. Not only is this a snack you’ll look forward to eating hours into a ride, but it’s also a great source of short-term and long-term energy. 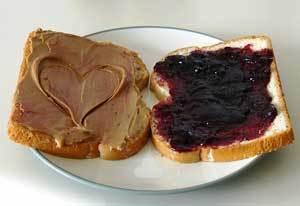 The jelly and bread provide both simple and complex carbohydrates that start breaking down as soon as you eat the sandwich, while the peanut butter’s high fat content will continue digesting and providing energy for hours to come. Of course, this snack choice is best suited for low-intensity rides, as consuming fat during a high-intensity ride is likely to cause indigestion. Similar to bananas, figs provide a source of simple sugars that can be digested quickly and easily. Many energy bars or packaged snacks, such as Fig Newtons or Fig Bars, incorporate figs because of the quick energy release they provide. In addition, figs are a great choice because they provide just a tiny bit of fiber – enough to help your body meter your digestion to provide energy that lasts for 30-60 minutes – as well as vitamin C, calcium, and iron. 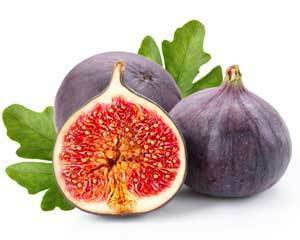 Because they are easy to digest, figs are suitable for rides of any length as well as high-intensity workouts. What should you eat after your ride? If you’ve eaten before your ride and you plan to ride for an hour or less you should be fine to cycle away without mid refueling! If you plan to ride for more than an hour it’s a good idea to consider bringing something to refuel and rehydrate with. If you are aiming for that 30-60 grams of carbs rate we recommend bringing a lightweight snack for refueling on the go such as a banana, low-fiber carb-based energy bars, or energy gels. Only glucose used to be all the rage when it came to sports nutrition products. But, updated research shows that a mixture of glucose and fructose results in better carbohydrate absorption and...thus, better energy production. 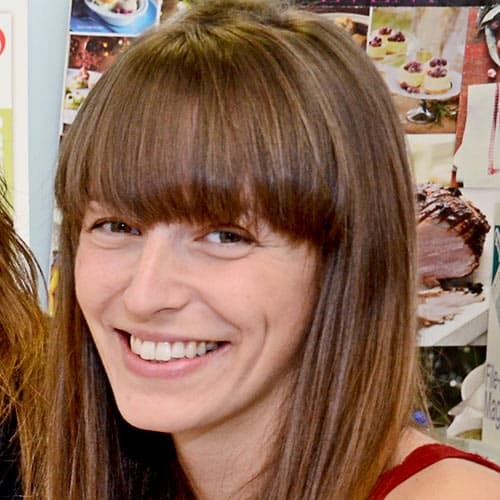 “A mixture of 2:1 glucose and fructose can deliver up to 50% more energy to the working muscles, meaning up to 90g per hour can be used by the muscles as fuel (just 60g per hour with glucose alone)”, says Roxanne Fisher, Health editor at BBCGoodFood. “These are the products that elite cyclists (and triathletes) will often use during competition”, she explained. Bycling.com states that, during rides, one of the most simple ways to optimize your carbohydrate intake is to eat lightweight, digestible snacks--like bananas or fig bars--while drinking a low-carb, electrolyte hydrating drink. They go on to further explain that separating those two categories--solid food and hydration--can help ensure you’re staying in the correct grams of carbohydrates per hour range while also receiving an appropriate amount of sodium and fluids. ​Cycling is a demanding activity and your first priority after finishing a ride should be to replace lost fluids. A sports recovery drink can be an effective way to kick-start muscle replenishment. Aim for drinks that have both carbs and protein. Eating the proper foods after your ride is essential to repair those hard-working muscles and replenish all the carbohydrates you burned up! The amount of nutrition you will need after each ride will vary depending on its length and intensity. An intake of both protein and carbohydrates is critical for recovery. A lean protein such as fish or chicken paired with a carbohydrate such as rice, fruit, and/or plenty of veggies makes for a mean recovery meal. Aim for at least 20 grams of protein in your recovery meal. The exact, necessary amount of protein per person varies. It’s sometimes easy to assume that more protein is better but it is unnecessary to consume more protein than your body can process. Chocolate milk is one of the most effective recovery drinks available, which is great because it’s so simple and quick to make. 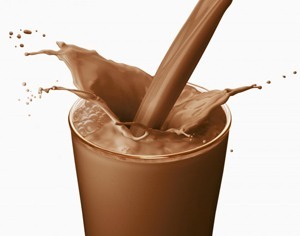 The secret to chocolate milk is that thanks to the protein naturally found in the milk, it offers an ideal 4:1 ratio of carbohydrates to proteins for recovery. Plus, the carbohydrates in the milk and chocolate syrup are quickly broken down, so the fuel your body needs to begin recovery is delivered to your muscles right away. This is also a great choice because the high water content of milk contributes to rehydration. Sweet potatoes are rich in complex carbohydrates like starch, which help replenish your body’s depleted glycogen stores following a hard ride. The other benefit to consuming sweet potatoes in the first hour after a ride is that they are high in potassium, which your body is often depleted in after a hot and sweaty ride and that can help prevent muscle soreness. 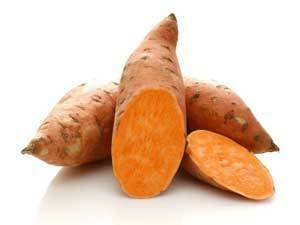 In addition, sweet potatoes have a high water content that can help with rehydrating. 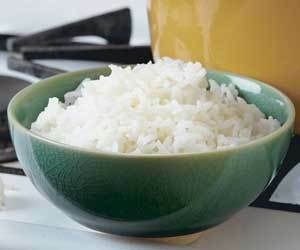 White rice contains a ton of starch that, when consumed in moderate quantities after a ride, can go a long way towards replenishing your body’s glycogen stores. ​White rice in particular, as opposed to wheat, is best since the refined starch is more quickly digested and absorbed by your body. While not high in protein, rice also contains simple amino acids that your body can use to speed up muscle recovery. Mix white rice with a source of more complex protein, such as chicken, to achieve the 4:1 ratio of carbohydrates to protein that experts recommend for recovery. Berries are the perfect post-ride snack for right when you get home and aren’t yet ready to eat a sizeable meal. 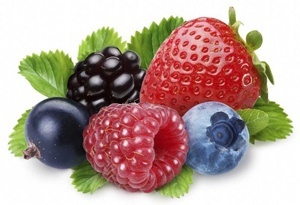 Berries have a high glycemic index, so just like the foods you were eating during your ride they are easily digested and provide a source of carbohydrates to keep energy flowing to your muscles. Berries are also a great choice because they are a source of anthocyanins, which reduce inflammation and help prevent joint pain. Furthermore, berries are more than 90% water – so eating a handful of berries is like taking a few sips from your water bottle. Smoothies are a great post-ride food because they can be easily tailored to match what your body needs based on the duration and intensity of your ride. ​Importantly, they also make it easy to achieve the 4:1 ratio of carbohydrates to proteins that is essential to proper recovery. Base your smoothie on fruits and juices to include simple sugars that are rapidly digested, and add in a scoop of protein powder or milk to provide protein for muscle recovery. 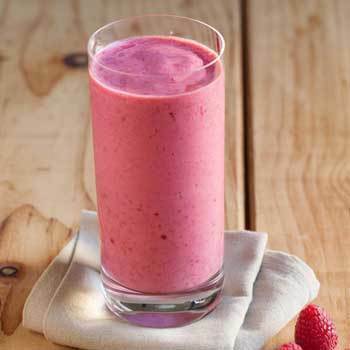 Additional advantages to smoothies are that they can be made before your workout and stored in the refrigerator and that they contain plenty of water to help with rehydrating. Like chocolate milk, a bowl of cereal is an effortless way to achieve the 4:1 ratio of carbohydrates to protein that your body needs for optimum recovery. The milk provides protein, as well as a source of water to help with rehydration, while the cereal provides a mix of simple and complex carbohydrates that will jump-start your recovery and keep you feeling full for hours to come. 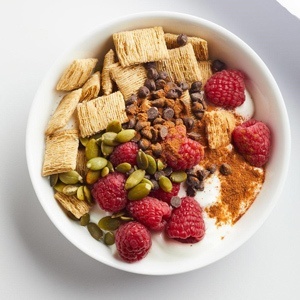 To add even more protein to your cereal, mix a scoop of protein powder into the milk. If you time the end of your ride with a mealtime, salmon is a great food for recovery. 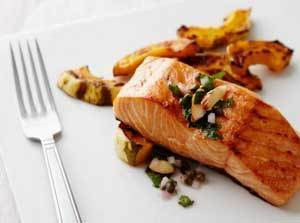 Salmon has a significant amount of lean protein to speed up muscle replenishment. Meanwhile, omega-3 fatty acids provide the calories your body needs and have been proven to reduce inflammation, which can help prevent soreness and injury. Salmon also contains B and D vitamins that help to boost your energy levels after the ride and keep you going for the remainder of the day. Pair salmon with rice or another source of starch to achieve a 4:1 carbohydrate to protein ratio. Cycling is a demanding activity and your first priority after finishing a ride should be to replace lost fluids. 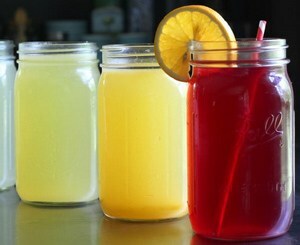 A sports recovery drink can be an effective way to kickstart muscle replenishment. 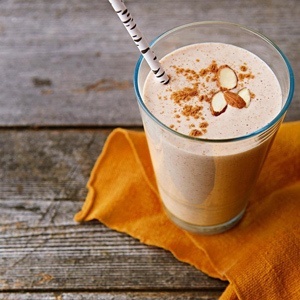 Aim for drinks that have both carbs and protein. Eating the proper foods after your ride is essential to repair those hard-working muscles and replenish all the carbohydrates you burned up! The amount of nutrition you will need after each ride will vary depending on its length and intensity. Aim for at least 20 grams of protein in your recovery meal. The exact, necessary amount of protein per person varies. It’s sometimes easy to assume that more protein is better but it is unnecessary to consume more protein than your body can process. 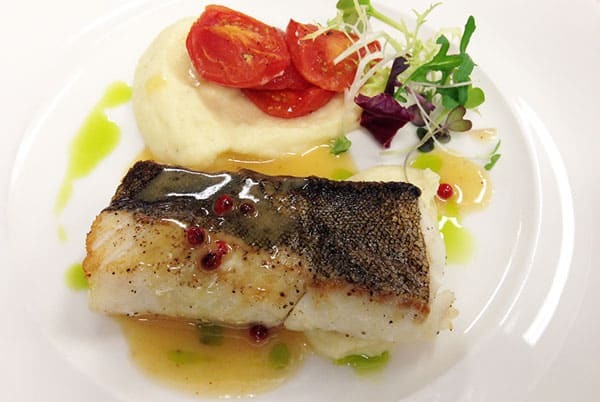 ​For the best recovery results...eat a full, well-balanced meal within an hour of finishing any strenuous workout. Don’t rely on hunger as a cue to refuel during or after your ride. Make sure to be monitoring your energy levels in and out and refueling accordingly. Be advised-all those carbohydrate products can add up quickly!! The consumption of too many carbs makes them hard to digest, leaving you feeling ill or nauseated. Digestion can become more difficult the longer you exercise so make sure to focus consuming solid foods at the beginning of a ride. Then, consider switching to something like gels later. To keep your tummy happy, make sure to chase down those gels with plenty of fluids!! Never try anything new on race day, just stick to your known routines. And with that--if you’re not used to taking gel, it’s not recommended to start the day of the race. It’s not the best time to try digesting something new! ​You can do it when you fuel it! You can do it when you fuel it! For the best recovery results...eat a full, well-balanced meal within an hour of finishing any strenuous workout. Be advised-all those carbohydrate products can add up quickly!! The consumption of too many carbs makes them hard to digest, leaving you feeling ill or nauseated. Digestion can become more difficult the longer you exercise so make sure to focus consuming solid foods at the beginning of a ride. Then, consider switching to something like gels later. To keep your tummy happy, make sure to chase down those gels with plenty of fluids!! Never try anything new on race day, just stick to your known routines. And with that--if you’re not used to taking gel, it’s not recommended to start the day of the race. It’s not the best time to try digesting something new! ​Consuming a healthy, carb focused meal that is low in fat and free of heavy proteins before a ride will provide you with the necessary fuel you need to pedal forward. Refueling with protein and carbohydrates after a ride is essential for recovery. Finding out which foods and nutritional products work best for you and your body can take some time and experimentation. The more you ride and pay close attention to your body, the better you can optimize your nutrition to better reach your fitness goals. Cycle on!! Consuming a healthy, carb focused meal that is low in fat and free of heavy proteins before a ride will provide you with the necessary fuel you need to pedal forward. Refueling with protein and carbohydrates after a ride is essential for recovery. Finding out which foods and nutritional products work best for you and your body can take some time and experimentation. The more you ride and pay close attention to your body, the better you can optimize your nutrition to better reach your fitness goals. Cycle on!! With Rydoze, I just want to share my experiences and help you along on your cycling journey. I’m putting the answers to all of your biking questions in one place. From the most basic to the advanced. You’ll find the information you need.